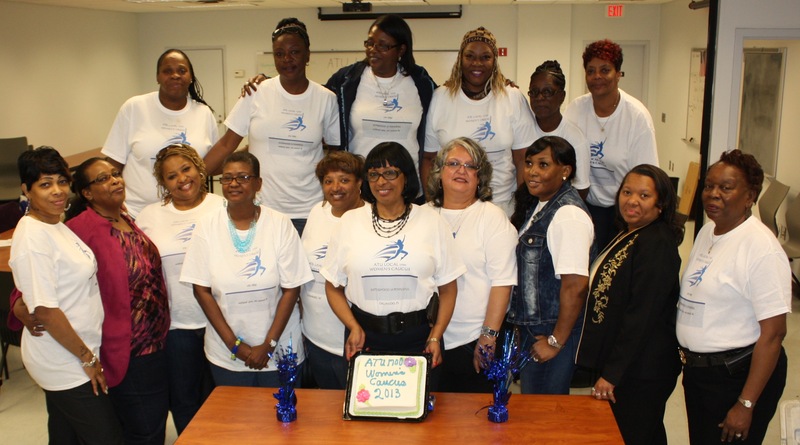 April 15, 2013 kicked of the first annual ATU Woman's Caucus and was a great success! There was about twenty of us in attendance from all over the country and although it was a small gathering, the message was big! Next year, the outlook for the next Woman’s Caucus is extremely bright and positive. We are looking forward to an increase in the number of attendees based on the tremendous amount of success we just had. This year’s theme showcased “Empowerment Within“. The theme gave light to some of the issues we as women face; in addition, solutions on how to better manage these issues through education and support were discussed. We are truly ‘Ladies on Fire’. Sandra Frye, founder/former chairperson, worked hard and diligently on making sure that our first Women’s Caucus meeting was a success. I, Sindy Vasquez, would like to thank Sandra, for bringing this idea to fruition, my co-chair Deborah Campbell for all she did to make this event a success. Also, Angela Pierce, who is doing an outstanding job as our financial treasury and secretary. All of the fabulous Area VP’s - Denise Dowling - Area 1, Tracey Turner - Area 1, Mattie Howard - Area 2, Sheila Butts - Area 2, Sabreana Hamm - Area 3, Vanessa Edwards - Area 3, Shereta Johnson - Area 4. My appreciation is also extended to the fine sisters and great brothers who attended. A famous woman by the name of Helen Keller once said, “Optimism is the faith that leads to achievement, nothing can be done without hope and confidence.” I am confident and have hope that women nationwide will join the Women's Caucus! Please bring your ideas and questions and let your voices be heard; your input and opinion matters and we want to hear it! Together we can work to make the necessary changes needed for a better work environment and a better future for all. All those interested in joining the Women’s Caucus and becoming an agent of change please contact me at (323) 440-5508 and/or Deborah Campbell at (404) 200-7517. Sindy Vasquez, Los Angeles Ca.